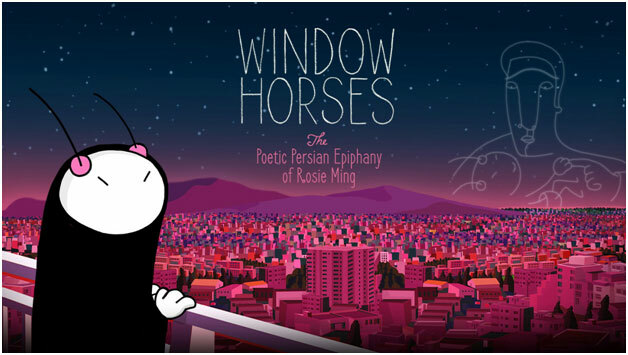 Written and directed by award-winning filmmaker Ann Marie Fleming, Window Horses is a feature animation about love—love of family, poetry, history, culture. Rosie Ming, a young Canadian poet, is invited to perform at a poetry festival in Shiraz, Iran, but she’d rather go to Paris. She lives at home with her over-protective Chinese grandparents and has never been anywhere by herself. Once in Iran, she finds herself in the company of poets and Persians who tell her stories that force her to confront her past: the Iranian father she assumed abandoned her and the nature of poetry itself. The film is about building bridges between cultural and generational divides. It’s about being curious. Staying open. And finding your own voice through the magic of poetry. The film’s voice actors include Sandra Oh (Rosie), Ellen Page (Kelly, Rosie’s best friend), Don McKellar (a young poet named Dietmar), Shohreh Aghdashloo (Mehrnaz, a professor at the University of Tehran) and Nancy Kwan (Gloria, Rosie’s overprotective grandmother). More than a dozen animators, including Kevin Langdale, Janet Perlman, Bahram Javaheri and Jody Kramer, worked on the film with Fleming. 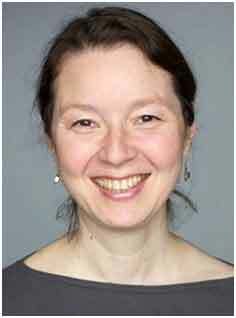 Ann Marie Fleming is an award-winning Canadian independent filmmaker, writer, and artist. Born in Japan to Chinese and Australian parents, Fleming creates work that addresses themes of family, identity, history, and memory. She adapted her 2003 animated documentary The Magical Life of Long Tack Sam into an Eisner Award-nominated graphic novel in 2007, and has followed with a number of acclaimed short films, including I Was a Child of Holocaust Survivors (2010), Big Trees (2013), and the animated web-series My Place (2009) for Discovery USA’s Planetgreen.com. Her latest project is Window Horses, a feature-length animated film about a young Canadian poet discovering her family history.